Many consumers haven’t heard the Aire Flo name but this Lennox Brand has been around for decades. Their furnaces offer a good combination of efficiency and low gas furnace prices, and are a popular choice with budget-minded consumers like Raymond in Cincinnati. He passes along his Aire Flo CG92 Model CG92TB067D12B Gas Furnace price via our share an HVAC page. We appreciate the chance to share helpful HVAC prices from one reader to others. “I had to replace my furnace this winter and that wasn’t much fun. I called Lennox and Carrier to come and give me bids and get the furnace installed pronto. The Carrier salesman didn’t have anything that impressed me and the Lennox were way too expensive. I don’t need all the extras they put on furnaces – it’s like people will croak if the temperature fluctuates by more than 2 degrees or if it blows cold air until it heats up. So they put a bunch of extras on it to pamper people. I ain’t paying for that. I want to turn it on and get some heat and have it keep running all winter without breaking down. I don’t need to be pampered. I grew up in a house heated with a coal stove so give me a break. We appreciate your letter Raymond and know how you feel about the high price of installation – which actually is well below average in your case! Raymond will also see significant savings on his utility bills with this furnace. Up to 92.1 AFUE which is Energy Star qualified. Stainless steel secondary heat exchanger for maximized efficiency. PSC multi-speed blower motor for efficiency and comfort. Galvanized, pre-coated cabinet is insulated and durable. Gas and electric hookup from left or right side. Ready for 1 or 2 pipe venting. Additional sizes available in this series. Lifetime limited warranty on the primary heat exchanger; 5-year warranty on all other parts can be extended to 10 years for a fee. 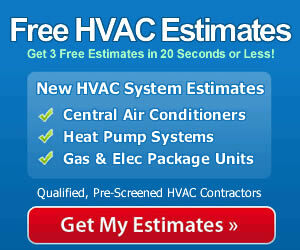 The best way to ensure that your furnace is installed properly is to hire a professional to do the work. Proper installation is essential to the furnace achieving maximum efficiency and is also important for safety reasons. Gas or CO leaks can be deadly. A qualified contractor with good experience will make sure your Aire Flo CG92 is set up to run as efficiently as possible and that the gas connections and the venting are handled correctly.